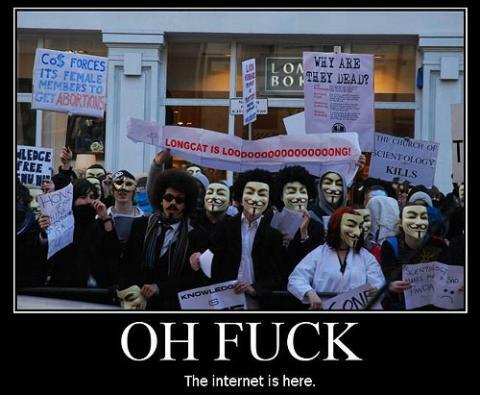 Anonymous has vowed to "destroy" Facebook on Nov. 5. Or more accurately, somebody has set up a Twitter account and YouTube channel to announce a plan dubbed "Operation Facebook." In a YouTube video, the hacking group warns, "Your medium of communication you all so dearly adore will be destroyed." "If you are a willing hacktivist or a guy who just wants to protect the freedom of information then join the cause and kill Facebook for the sake of your own privacy." The group said in its message that "Operation Facebook" would be begin November 5. It claimed the social network, based in Palo Alto,Calif., provides information to "government agencies" so they can "spy on people." 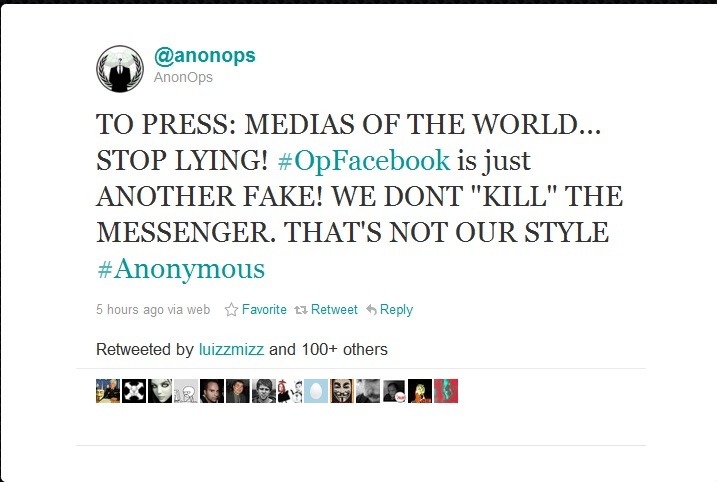 If Operation Facebook is real, it could mark a new phase for Anonymous, which in recent weeks has joined forces with the remnants of the more tightly knit hacker group LulzSec to target law enforcement agencies in an ongoing operation called Antisec. Whereas one of the Anonymous Leader Claim that "Operation Facebook" is Fake. He tweeted as shown below. The riots are underway. It is not a battle over the future of privacy and publicity. It is a battle for choice and informed consent. It's unfolding because people are being raped, tickled, molested, and confused into doing things where they don't understand the consequences. Facebook keeps saying that it gives users choices, but that is completely false. It gives users the illusion of and hides the details away from them "for their own good" while they then make millions off of you. When a service is "free," it really means they're making money off of you and your information.